Sometimes there is no next time! "Sometimes there is no next time, no second chance, no time outs. Sometimes it's now or never." 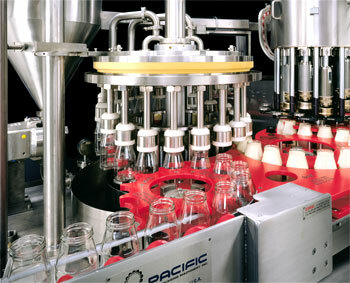 With customers worldwide, Pacific Packaging Machinery Company has the reputation as the "Cadillac" of commercial filling equipment. Unsurpassed accuracy, durability and flawless engineering produces machinery custom matched to their customer's needs. 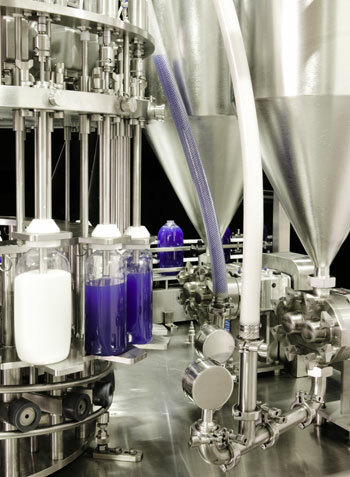 Originally serving the food industry, Pacific Packaging expanded their capabilities to serve diverse industries including Personal and Home care, Automotive and Pharmaceutical. Innovative, they create machinery which artfully performs complicated tasks such as swirling the different viscosities of peanut butter and jelly in a single container. They create technology which lessens manufacturing liability issues, such as are possible when handling potentially explosive products. Before a finished piece of equipment is shipped, Pacific Packaging needs a photographic record. Often the finished equipment is not available until the close of business on one day. The next morning it will be boxed or crated for shipment that afternoon. So there is only one chance to do justice for the pristine product which has been designed to exacting standards. Still, the images created for Pacific Packaging are not just documentary. Interesting angles, repetition and highlighting special qualities render possible scientific beauty. My images for them are glamour shots of industrial equipment. There is no room for error. Lighting must be perfect. The reflective surface of stainless steel equipment can pull in unwanted reflections, create glare or cause dark holes to be created in an image if the lighting is not perfectly staged. Sometimes, the volume of a machine, one built to barely squeeze into the largest truck on the road, must be projected on what in the end, will be no larger than the page of a catalog. Sometimes the goal is to capture the controlled energy of a piece of equipment capable of filling 350 bottles a minute. Or tighter images may emphasize the intricate design of a new nozzle. In all successful business relationships, feedback of the customer is important. You can imagine how pleased I was to read what VP Pete Carpino wrote on LinkedIn, "We have worked with Gene for close to 10 years. He is an excellent photographer and a perfectionist when it comes to quality, detail and capturing the essence of our product. He is extremely trust-worthy -- we actually let him work in our building after hours. I highly recommend his work."